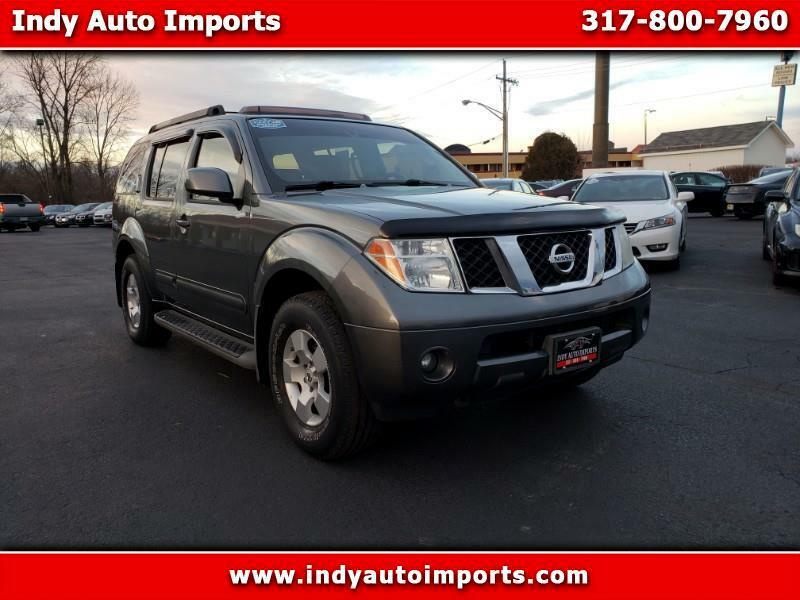 Gray 2007 Nissan Pathfinder 4WD 5-Speed Automatic with Overdrive 4.0L V6 DOHC 4WD, 3rd row seats: split-bench, Electronic Stability Control, Remote keyless entry. We are the largest used car dealership in Lebanon. We are right off of I-65, only minutes from everywhere! Visit Indy Auto Imports online at indyautoimports.com or call us at 317-800-7960 today to schedule your test drive.